IL RUMORE BIANCO (White Noise) are a band from Verona, Italy, who released their debut EP in November 2013. Three members (guitarist/sax player Michele Zanotti, keyboardist Thomas Pessina, and bassist Alessandro Danzi) played together in a band between 2009 and 2011, when they decided they ventured out on their own, wanting to create more complex and elaborate material. They recruited lead vocalist Eddy Fiorio, second guitarist Federico Lonardi, and drummer Umberto Sartori, and in 2012 launched the new band. "Mediocrazia" contains four songs, about 28 minutes long--actually, close to the length of several of the classic RPI releases from the 1970s! The compositions are very good and the playing quite mature. Besides basing their roots of 1970s RPI, the band claims influences from jazz, electronic, and ambient music. For sure these are present, particularly jazz (in fact one can detect some Area at several points), especially in their intimate approach. They do not embrace a full symphonic sound often seen in 1970s RPI (think "Zarathustra"), but rather prefer a closer, gentler style. Not to say they don't rock, as the first song in particular has enough Hammond to make Jon Lord smile! But the overall style of their composition lends itself to close scrutiny as opposed to walls of sound. Definitely one to experience, and with lots of potential for great things to come. The caustic, abrasive "Mediocrazia" (Mediocracy) depict the loss of the sense of identity of a man who feels lost among other people and reflects about how difficult is to get rid of the sense of mediocrity that rules in the modern society and emerge from the mass. 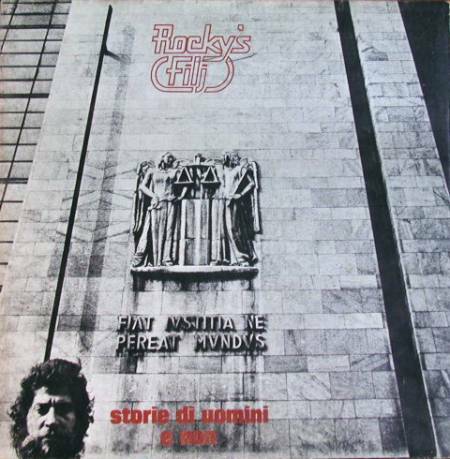 The jazz-rock "Il capitale umano" (The human capital) every now and again could recall Area and tries to convey a strong criticism against consumerism and all the behaviours that can transform a man into a member of a herd without personality. Programmed obsolescence of creation, dictatorship of money and selfishness, structural classism, drugs and tobacco addiction... Like a broken compass men get lost in a place where time stands still. 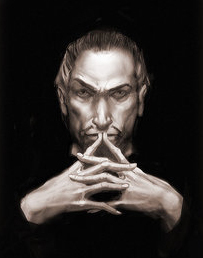 The dark, jazzy "Tephlon (Club)" is an inspired instrumental track that leads to the long, complex "Il giudice e il bugiardo" (The judge and the liar) that depicts in a surreal way the trial of a man who passed away, drowned in his silence. The music starts by a slow pace, the atmosphere is filled with mystery and jazzy touches. Hanged on a rope and dragged into oblivion, now the protagonist is sitting on a chair in a judgement room crowded by abstract characters, in touch with the worst part of himself, trying to reanimate what he's not any more... Then rhythm and tension rise. The protagonist observes the scene from the outside like a fake man who observes a liar to eradicate worn out emotions, looking for hidden truths smothered by endless lies... Always trying to wake up what he is no more! The title track ends the album. "Antropocene" (Anthropocene) is divided into two parts. The first one starts by delicate piano chords and dreamy vocals. A man with a bitter-sweet smile who is coming to the end of his journey takes a sit beside your opaque thoughts? The second part is more aggressive and theatrical vocals begin asking questions about ethic and morality, common sense and social networks. The tone becomes accusatory when touching issues as egocentrism and hypocrisy to stir your conscience, hoping to wake you up from your guilty numbness, sooner or later... A very good conclusion! On the whole, a very nice album that needs many listening and a good comprehension of the lyrics to be fully appreciated. 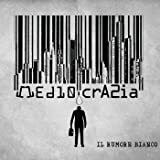 Italian band IL RUMORE BIANCO was formed in 2012, and was drawing some attention to themselves with the release of their initial EP "Mediocrazia" the following year. 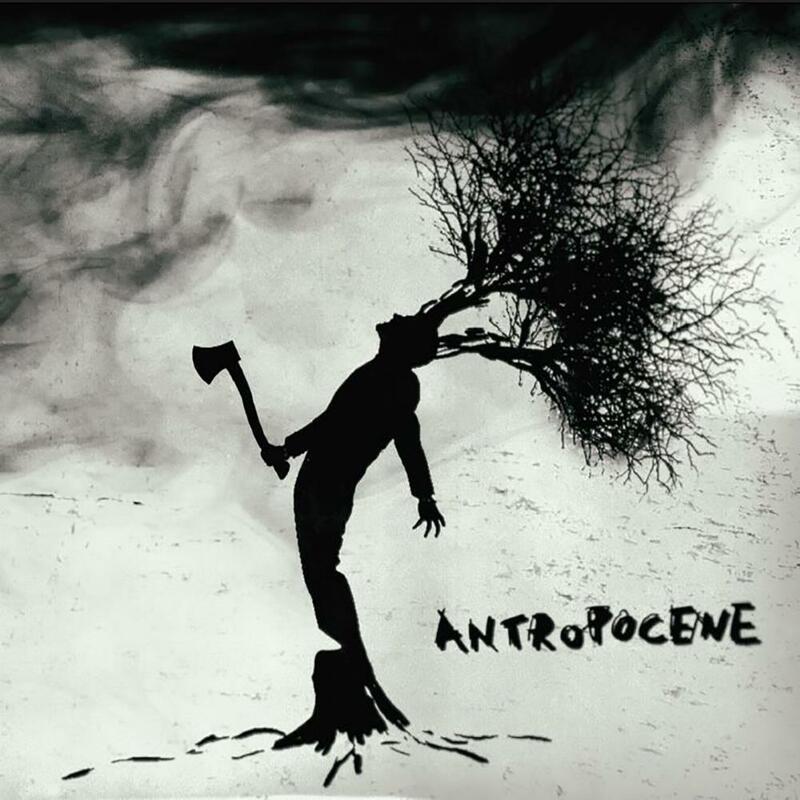 "Antropocene" is their full length debut album, and was jointly released by Italian labels Ma.Ra.Cash Records and Altrock Productions, the latter employing it's imprint Fading Records for this production. Il Rumore Bianco isn't a band to inspect if you tend to favor the inviting and compelling varieties of progressive rock. But if words like challenging, quirky and perhaps even difficult finds your favor, and you enjoy bands described in this manner to explore dark landscapes and using multiple sets of genre elements, then "Antropocene" is most likely an album that will find favor with you. A dark, twisted and innovative production. Italian band IL RUMORE BIANCO is a young, recent and enthusiastic unit of musicians with a strong affection for progressive rock in general and the vintage oriented varieties of it in particular. They were formed in 2012, and released their first EP "Mediocrazia" in 2013 as a self released production through the Bandcamp website. That this is a band that know their classic rock as well as progressive rock is easy to hear on opening piece Tutto on Sugno (Pt. I), a composition that opens in a Deep Purple sounding manner and then expands upon this initial foundation with psychedelic and jazz-oriented details in the nice and suitably theatrical manner many would expect from an Italian band that appears to navigate in vintage oriented landscapes. The more atmospheric laden Il Vestitio Buono expands their sound with an ominous sounding, cinematic tinge that for someone at my age gives rise to associations to a TV-series like Twin Peaks, with hard prog tendencies, psychedelic details very much present and some funky, jazzrock vibes thrown in for good measure. The darker, more distinctly jazzrock oriented Il Primo Attore is the highlight for me however, here the band takes a step up in terms of creating an interesting, compelling and often haunting mood at least as I experience them, taking on both harder edged, dramatic instances and more delicate and fragile variations of a core jazzrock oriented expression successfully here. The EP then concludes with Totto Un Sogno (Pt. 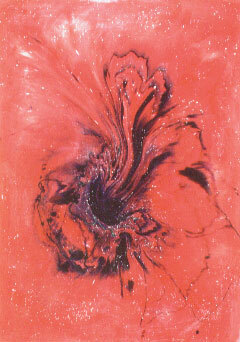 II), an almost epic length affair where the band explores their classic hard rock and progressive rock tendencies alongside their psychedelic tendencies quite nicely and then elevates the total experience by incorporating passages closer to the darker toned, haunting jazzrock tendencies more thoroughly explored in the preceding creation. 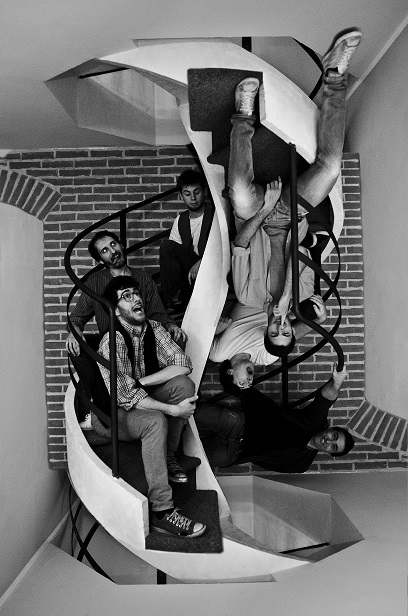 In sum an EP that range between the pleasant and the compelling, documenting a band that are highly familiar with vintage era classic rock and progressive rock, and at least as far as I'm concerned at their most successful when exploring darker sounding material with an emphasis on jazzrock using piano, organ and saxophone as the dominant instruments. Last year was quite a year for wonderful new EPs. This debut EP from Italian band Il Rumore Bianco (The White Noise) is no different. 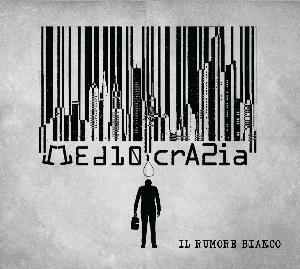 However, I will certainly say that their EP, "Mediocrazia" (Mediocracy), is perhaps the most complex and classy EP from the past year. This band combines a taste of the old and a bit of the new to create a sound that I'm actually quite excited to hear. Il Rumore Bianco combines influences from the past, such as King Crimson, with more modern prog sounds, such as Porcupine Tree. Their 100% Italian vocals also help give away their obvious influence by the Italian prog scene, too, though it can also be found in their keyboard work. Honestly, this band's sound is a bit difficult to describe. It's a bit diverse. One track will feature a steel-hard, guitar-driven style of rock, while another will be led by eerie, funky saxophone. All the while, though, we are treated to some excellent keys that fill the atmosphere with class and maturity. To be honest, the first track failed to grab my attention on my first listen. However, by the time I got to "Il Primo Attore", I was hooked on the surreal soundscape that this young band creates. It's interesting, fresh, and a little crazy at times. The album is often placid and mellow, and I think that's what I like most about it. I really prefer the sax-driven tracks, as they feel more experimental and have more personality. In the end, Il Rumore Bianco definitely has tons of personality. They mix sounds without ever coming across as derivative or copycats. "Mediocrazia" has me excited for future LPs from this band. Check out the EP, as it is free on their bandcamp page. There are quite a few Italian bands that have emerged in recent years. One that bears close watching is Il Rumore Bianco, who released their debut EP in November 2013. Consisting of six excellent musicians, Il Rumore Bianco leave quite an impression, both in songwriting and execution. The highlights for me are the first and last tracks, "Tutto un sogno" parts 1 and 2. The first part shows the harder side of the band, with lots of guitars and Hammond, as well as some sweeping synths. The second part is like the other side of the coin, very ambient and evocative, brooding even, in the use of sax and keys (including mellotron). The songwriting is quite mature, especially given that this is a debut. Too often, young bands suffer from poor vocals--that is certainly not the case here, as the vocals are really quite impressive. Don't let this one pass you by if you are even a casual RPI fan. 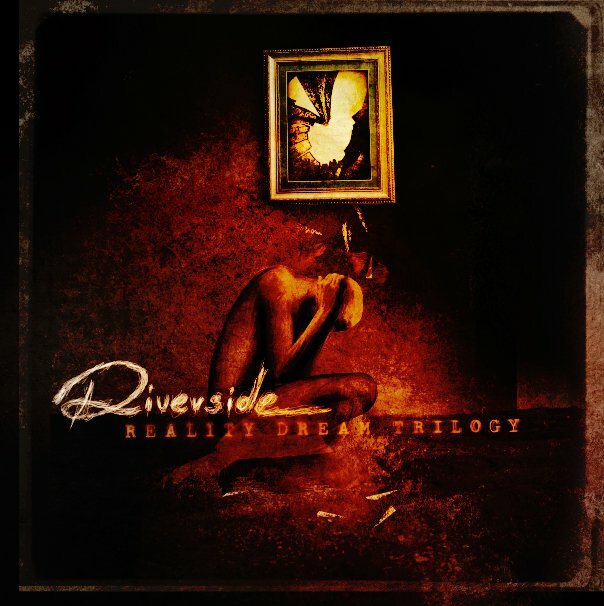 Visit their bandcamp page (linked on the PA band page) and download the album. If you like it, order the hard copy.